Pangi Valley is located in the northern most part of Chamba District close to the border of Lahul and Spity. It lies sandwiched between Pir Panjal range and Greater Himalayan Zanskar range and runs east to west along Chandrabhaga (Chenub) River. The place is so remote that during the British era, the officers who were sent to this valley on official duty were paid a hefty ‘Funeral Allowance’. Even before that when Chamba was a sovereign state, the condemned prisoners were literally thrown into Chandrabhage River and if they could swim across they were free to settle in that valley. 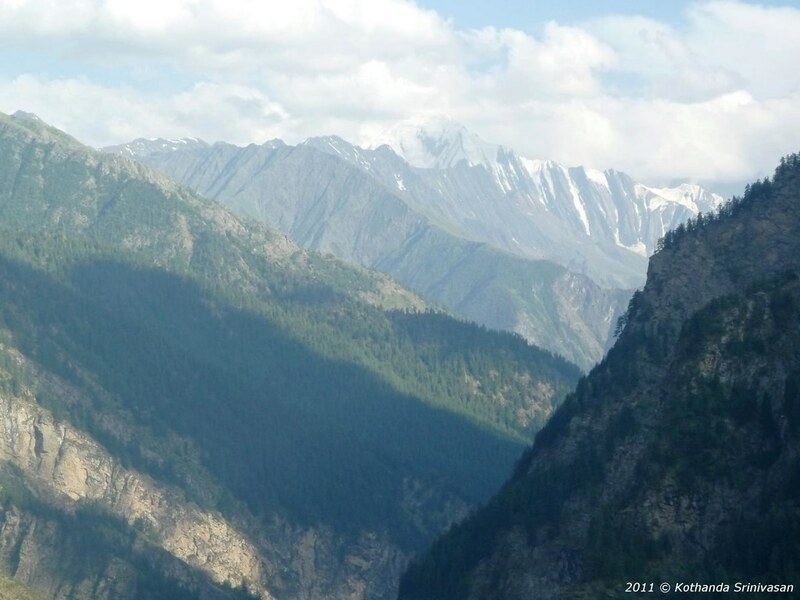 If you enjoy nature at her pristine best you cannot miss a trip to Pangi Valley. Because of its remoteness few tourists venture into this region and consequently the area has been able to retain its unspoiled beauty. At the same time, construction of motorable of road across Sach Pass has made the journey much easier. Now, you may take up a jeep safari straight from Chamba to Pangi Valley and reach its main town Kilar/ Killar/ Kilad in the same day. The total road distance from Chamba to Kilar is 170 km. The route lies through Sach Pass, located at an elevation of 4420 meter. The Pangi Valley lies on the other side of this mountain pass. For more information on this part of the journey you may refer to our page titled From Chamba to Sach Pass. It is important to note that the pass is open from June to October only. Rest of the time it remains covered with snow and hence closed to vehicular traffic. 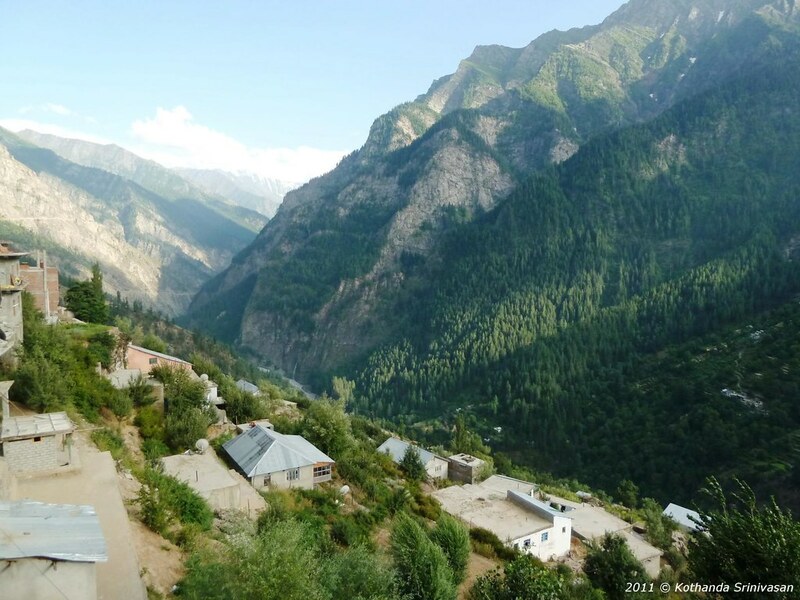 Therefore, you can visit Pangi Valley from Chamba during this period only. Pangi Valley is truly an enchanting place. It will not be out of place to mention what Dr. John Hutchinson, a missionary who made Chamba his home in the first half of the twentieth century, had to say about Pangi Valley of 1910. Although roads have now been built and the government is trying to develop the area, the beauty of the place has not changed much since those days. Indeed, as you cross Sach Pass, you enter a land with rugged beauty. The descent is steep here and the mountain slopes are rocky and bare. One has to be very careful about boulders falling down the mountain sides and drive very carefully. Nearly 1.5 km from Sach Pass the visitors come to an open ground of around 140 sq meters. It is known as Bhoot (demon) Chorten (ground). There one can see a huge rock lying on one side. Locals say that it is actually a demon whom the Mother Goddess turns into a stone during the crossing season every year and brings back to life once the pass is closed. The stone is believed to change its position every year and they site this as support for their belief. Bagotu is actually an open space surrounded by cliffs on all side. 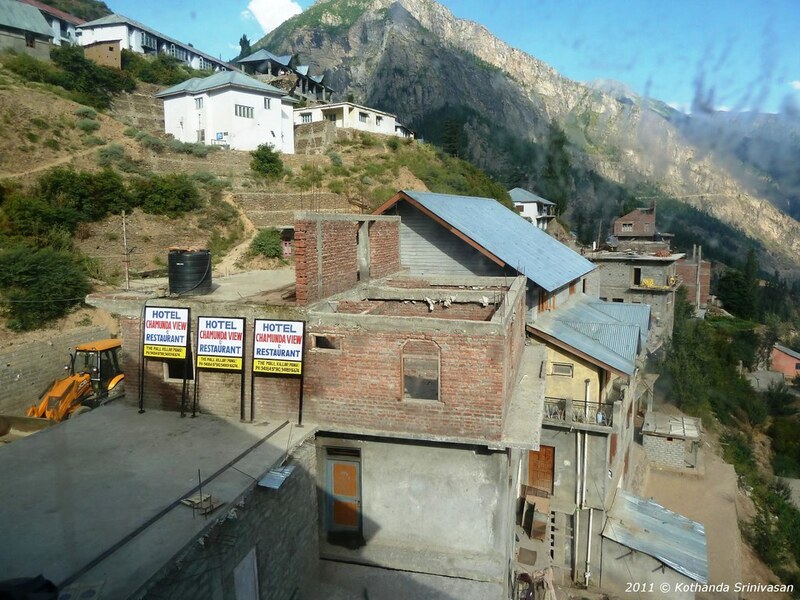 Before the road was built, it was used as base camp on Pangi side just as Satrundi was used on the Chamba side. Here, if you are lucky, you may find a road side dhaba that serves delicious meals along with hot and energizing tea. As we have said, Killad is the main town in the valley. It is located at an elevation of 2591 meters (8500 feet). Earlier the area consisted of a number of villages spread around a place called Chowki Killar. Today it is a thriving city with almost all modern amenities. The main market is located at the Chowki. Mahallu Nallah, small rivulet flows by this town. 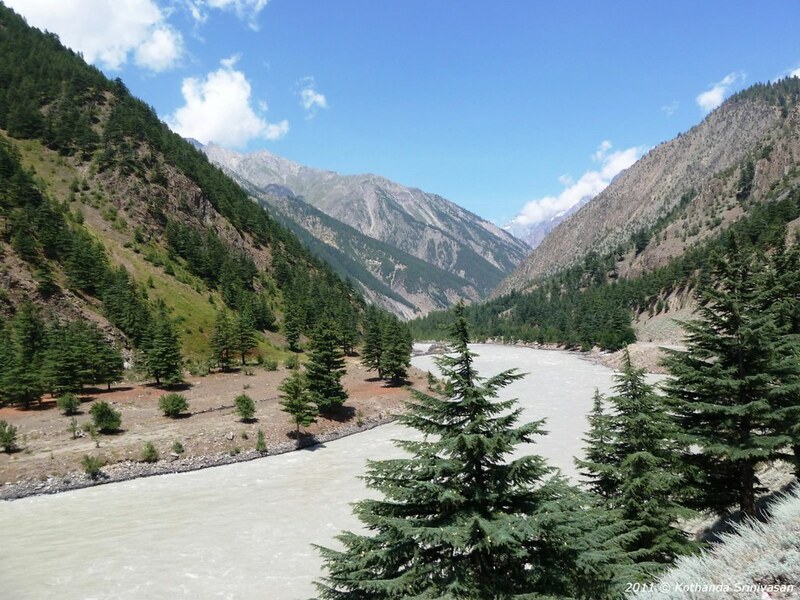 A hydroelectricity project on this nallah supplies electricity to this town. Killad has few small hotels. Among them, Hotel Chamunda View is said to be the best. It also has a restaurant and a bar. In addition, there are few dhabas, which also offer boarding facilities. Besides, the town has a PWD Guest House and a Forest Bungalow, where you can put up for the night. However, to get a room at the PWD Rest House, you need to make prior booking. There is not much to see in Killad except for couple of temples. The temple of Dehant Nag, located near the Forest Colony, is much revered here. It is believed that the god brings rain to the valley. The local people offer goats at this temple to placate the god. Earlier the Raja of Chamba used to sacrifice a buffalo each year at this temple. There is another temple near the hospital; if you are there in October, you may see the Phul Jatra there. In Karyas village has the temple of Tattab Mata. Kwas has a Nag Devta temple. If you want you may also visit the helipad at Killad. Laborers work hard throughout the winter to keep it free from ice and snow. When Sach Pass closes due to heavy snow fall it becomes the only means of keeping in touch with the district headquarters Chamba. Sirkund, a beautiful picnic spot, is another attraction here. It is located a little away from the helipad; but it can only e reached on food. Dharwas, located at a distance of 9 km from the town, is famous for its orchards. Apples grown here are very sweet and juicy. Besides, the area also grows sufficient quantities of strawberries and hazel nut. Tilmil Pani is another place of tourist attraction in this village. The water of this spring contains different types of minerals and is said to be very beneficial for health. It is also said that, the Rajas of Chamba also regularly used this water. You may also visit Sural Bhatori, located at a distance of 22 km from Killar and approachable via Dharwas. This is actually a sub valley of Pangi and is populated by Bhot people, who are mainly Buddhist by religion. There is a beautiful Buddhist Monastery in this village. The vegetation of this area is another attraction of this valley. Apart from many wild flowers and herbs, the area is the home to a thick forest of Peeling Birch or Bhoj Patra. The bark of this tree can be peeled and in olden days these were used for writing. Indeed, many of our ancient text have been written on such parchments. 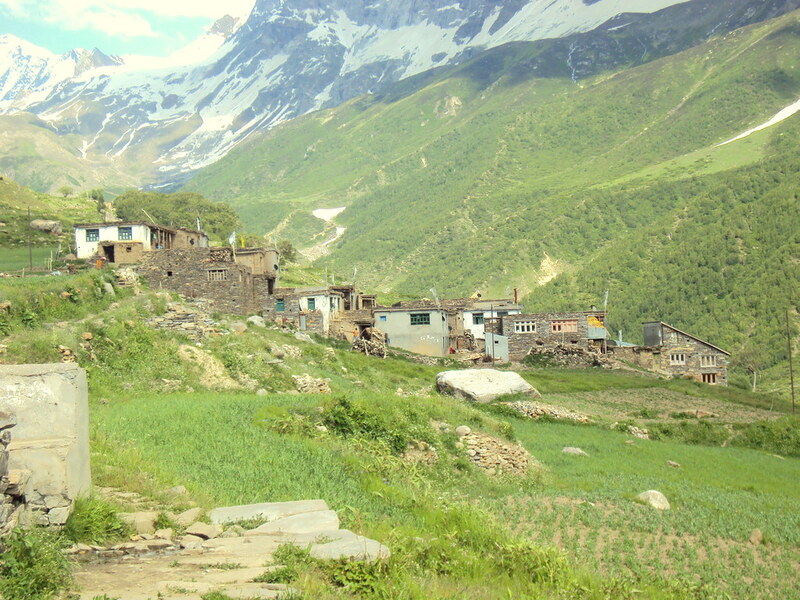 For the more adventurous, this village serves as the base camp for many trekking routes. Sidh Mandir, located at a distance of 8 km from Killad, is another pleasant little place surrounded by hazel nut trees. The ambience here is very serene. Although the temple primarily belongs to the Kiryuni Panchayat, people of all cast and creed offer puja here. Another interesting place to visit is Bhim Paid or the footprint of Bhima. It is believed that after Baranabat episode, Pandava brothers and their mother Kunti escaped to Himachal Pradesh and came to this region in the guise of Brahmins. One day while walking Kunti felt thirsty and asked Bhim to get water. Since River Chandrabhaga was flowing through a deep gorge Bhima had to stoop low to get water and the foot print on this stone was caused by the pressure of his body. It is customary for travelers to bow at this point and offer their homage to the hero of Mahabharata war. While going back to Chamba you have two options. You may follow the same route and reach Chamba via Sach Pass and Bharmour. In such case, you will be reaching Chamba in the same day. However, if you wish extend you trip you may reach Keylong via Udaipur and then to Manali by via Rothang Pass and finally to Chamba. In such a case you will require four more days to complete your safari. Incidentally, before the road across Sach Pass was built, residents of the valley had to travel via this route if they wished to visit Chamba.